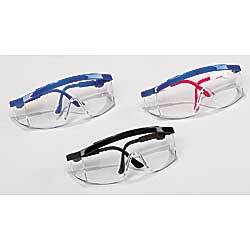 Includes: one-piece polycarbonate lens with integral sideshields and lightweight frames with adjustable temples. Meets ANSI Z87.1-1989. IN STOCK.